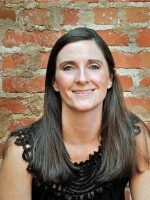 Shannon is a highly trained real estate agent who has served the Henry County area for over 14 years. She is passionate about what she does and it shows. She puts the needs of her clients above hers and is committed to meeting those needs. With years of her own investment expertise, Shannon brings a wide range of knowledge to the table. She has earned many awards such as Circle of Excellence 2015, Accredited Buyer Realtor, and many hours of Continued Education. She is currently a member of Metro South Association of Realtors and Women’s Council of Realtors, Georgia Association of Realtors, National Association of Realtors. She is married with 1 teenage daughter and 2 adult daughters. She enjoys rock climbing/hiking, crossfit, wine tasting, relaxing on the beach, and singing in the car (when NO one can hear). As a Buyer Agent, she is dedicated to helping her clients find the best home that suites each of their lifestyle and financial wants and needs. She has the ability to assist you in putting together an offer towards and making sure you get a great deal for the home you love! As a Listing Agent, she has the expertise to find out your current market value of your home. She also educates and prepares you to list your home at the right time and make sure it’s show ready. She aspires to help you receive the most out of your home! Shannon would love the opportunity to work with you today!